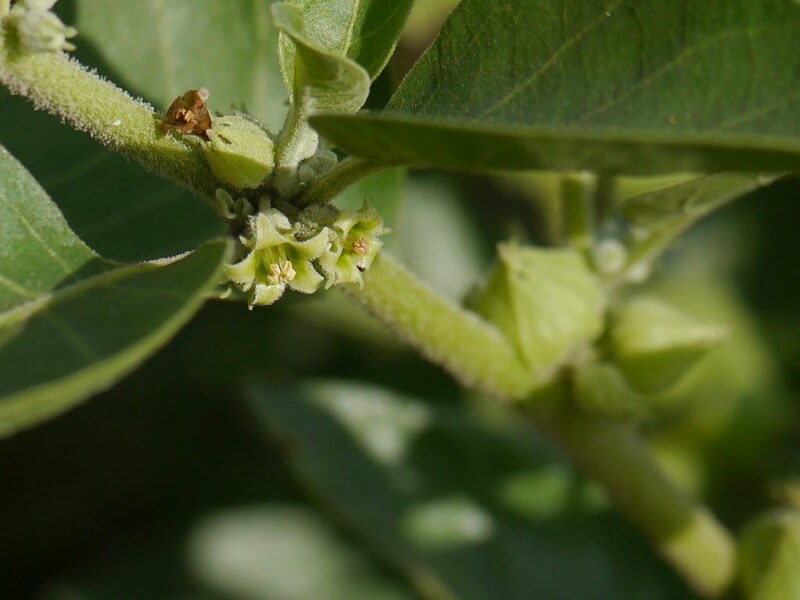 ‘Ashwagandha’ or Withania Somnifera is a very popular Ayurvedic herb that has also gained favour in the Western world for its ‘adaptogenic’ qualities. This root and leaves of the plant have been used in Ayurveda for thousands of years as a ‘rejuvenative’ that helps the body deal with physiological and psychological stress by adapting to your body’s needs. Ashwagandha has been used for more than 3,000 years in the alternative form of Indian medicine, which draws heavily from nature for healing a myriad of ailments. It was used in ancient times to improve concentration and boost energy levels. The Sanskrit word ‘Ashwagandha’ translates to “the smell of the horse”. It grows as a small shrub with yellow flowers that is native to India and North Africa. Known to have a rich concentration of withanolides, Ashwagandha helps combat inflammation and tumorous growths. ‘Ashwagandharishtam’ is herbal medicine in liquid form concocted by mixing Ashwagandha with other natural ingredients. Arishta is prepared from honey by mixing it with medicinal agents. These are soaked in water and put in an earthen jar to promote fermentation. This fermented decoction is known as ‘arishta’. Based on the uses outlined above, the health benefits of Ashwagandharishtam are as follows. Ashwagandharishtam cuts down fatigue and improves vitality by boosting the body’s ability to combat mental and physical stress. This health tonic fills up strength reservoirs in the body to improve the physical weakness. Ashwagandha contains antioxidant and ‘adaptogenic’ properties that help the body feel more energetic. By improving appetite, Ashwagandharishtam helps a person put on body weight and build muscle mass. This Ayurvedic medicine boosts the function of the adrenal gland and lends it vital support to secrete the hormones necessary for the body. It endows the gland with the ability to produce the right amount of cortisol to deal with stress. Loaded with antidepressant properties, Ashwagandharishtam helps in relaxing the mind by stepping up the production of serotonin in the brain. This reduces irritability, revs up the energy level, corrects sleep patterns and enhances interest in everyday activities. With calming effects on the brain, Ashwagandharishtam induces sleep and helps people with insomniac tendencies. It reduces mental fatigue and relaxes the mind by curbing unnecessary thoughts in the brain. Excessive worrying and stress often contribute to developing anorexia nervosa that curbs the feeling of eating properly. With an intrinsic characteristic of stimulating the appetite, this tonic helps improve the feeling of wanting to eat. This natural Ayurvedic preparation works on several problems that affect men’s health. It boosts fertility and stimulates the male libido. Ashwagandharishtam helps in strengthening women’s health by tightening the muscles in the uterus. It may also work in correcting the problem of repeated miscarriages and infertility. It is best advised to consult an Ayurvedic physician before taking this medicine. The general dosage of Ashwagandharishtam for adults is 15 to 25 ml or as directed by the physician, once or twice a day, after food. Add an equal quantity of water to the medicine before consumption, if required. It can be taken for about 2 weeks to 4 months depending on the condition and the duration of treatment necessary. While Ashwagandharishtam may be safe for general use, it still works to pay heed to the side effects of the herbal supplement and avoid consuming it any deviances are noticed. If taken in high doses of 50 ml or more, it can cause irritation in the stomach. Some patients have complained of heartburn and acidity upon taking Ashwagandharishtam. Hence, it should be avoided by those suffering from heartburn, gastritis, sore throat, mouth ulcers and GERD as it can aggravate these conditions. Children below 5 years of age must take a smaller dose, upon consulting the physician. Pregnant and lactating women must take it under medical supervision. Diabetic people must avoid it due to jaggery in it.